HOPSports Brain Breaks® Physical Activity Solutions are web-based 2-5 minute activity breaks designed for the individual classroom setting. Without any additional planning or preparation time teachers have an instant additional resource tool to revitalize the classroom environment and activate student learning. Classroom teachers are continually asked to do more with less, and HOPSports Brain Breaks® Physical Activity Solutions help increase test scores and fulfill mandates for increased physical activity and nutrition education without compromising valuable instructional time. HOPSports Brain Breaks® Physical Activity Solutions are a great class management tool that easily create an environment for optimal learning. 80% of schools nationwide are required to offer physical activity beyond the traditional physical education class. Since students spend more time in the classroom than anywhere else, the classroom is the perfect place to provide increased physical activity and nutrition education. Research substantiates that physical activity readies the brain for learning, moderates behavior, and re-engages all learning styles. HOPSports' digital platform allows for customization of the learning experience! Mix and match the physical activity instructor, the background, and the education/entertainment option to create a new physical activity experience. Teachers can insert their own video formatted content to reinforce and enhance classroom learning! 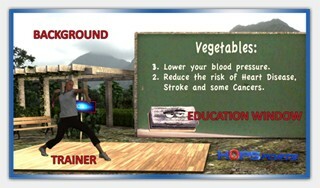 HOPSports Brain Breaks® Physical Activity Solutions augment classroom learning with 2-5 minute physical activities combining health and nutrition education . The video display is designed to engage all ages and learning styles. Brain Breaks utilize existing classroom technology, and offer a customizable experience by choosing from hundreds of activities and interchanging backgrounds, trainers and the education and entertainment window. Additionally teachers may build their own playlist by adding favorites to Quick Play. 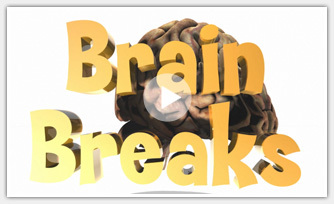 Brain Breaks® is a turn-key classroom solution to activate student learning! 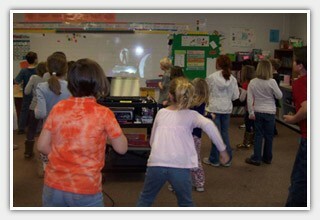 3-5 minute physical activity videos re-engage students and set them up for success! Brain Breaks take only 3 to 4 minutes, and after incorporating them into our classroom routine 2 or 3 times daily, I found that my students were more engaged in learning and much more focused and well behaved. HOPSports®, Inc. provides a ready-made safety, health and learning solution that is currently implemented in schools, universities, community-based organizations, hospitals, recreation centers, and treatment facilities in over 70 countries. HOPSports’ programs provide opportunities for increased physical activity, nutrition and character education as a proven strategy for student health, wellbeing and academic success. HOPSports © 2019. ALL Rights Reserved.